Busy professionals, lawyers, researchers, journalists, students and academics can all benefit from the skill of speed reading. How can hypnosis help you read faster? Many people associate hypnosis with breaking ‘bad’ habits, such as smoking or nail biting, and fixing problems. However, it can also be used to create new ‘good’ habits, such as speed reading without the approximate 40 hours of practice normally needed to acquire this very useful skill. Speed reading is a rather unique application of hypnotherapy, developed exclusively by international hypnotherapy expert, Valerie Austin and eight times world Speed Reading Champion, Sean Adams. The technique was initially created as result of experiment in 1990. Austin and Adams hypothesized whether hypnosis could help people read faster, and as Austin was a slow reader they were keen to test it. By using hypnosis, Austin’s reading speed was dramatically increased from 150 words per minute (wpm) dramatically to 650 wpm within a single session. This speed reading training is completely unique, and similar programmes have been based on Austin and Adams’ original work. Few hypnotherapists, including ourselves, have been trained in this unusual technique and are able to offer it. Hypnosis is a heightened state of awareness and concentrated attention, and therefore the best state for learning new habits, attitudes and behaviours quickly. Many of us were taught to read incorrectly as children. Many people have been told it was babyish to use your finger to read. However, reading using your finger as a pointer allows you to read faster. The pointer keeps your eyes focused on the text. Without the pointer you jump around the text, which slows you down. 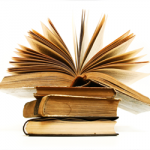 In hypnosis, we can train you to read faster by helping re-learn how to read more efficiently. 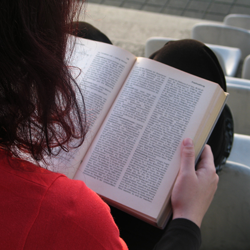 The new reading habit, using a pointer to focus your eyes on the text, is taught in hypnosis. Some clients have ‘learning blocks’, which means that the process takes slightly longer, but generally no more than 1 – 3 additional hourly sessions. (Learning blocks tend to more common for people seeking an individual speed reading course, as often they’ve already tried various methods with the ‘block’ has previously presented). This exciting technique works for almost anyone who wishes to learn speed reading. Some people have concerns about not wanting to read certain text too quickly, such as novels or poetry. However, speed reading is not about reading so quickly that you can’t enjoy reading. We all read at different speeds, depending on what type of text we’re reading. Reading speed varies according to the type of material you’re reading. For example, if your document reading speed went from 250 wpm to 500 wpm and your poetry reading speed was 100 wpm, you speed up your poetry reading to 200 wpm, but it would still feel like you’re taking your time. It’s similar to driving on the motorway quickly at 70 miles per hour (mph) and then reducing your speed to 50 mph. That 50 mph would probably feel far slower and more like 30 mph. If you’re reading an interesting novel, you are likely to read it much faster than a dull and boring book. That is why we test your “before” and “after” reading speeds using the same text. Over the years, our Speed Reading Technique has shown to at least DOUBLE anyone’s reading speed. Many people can increase their reading speed by 300%. 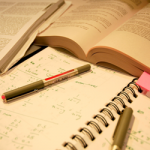 No further study required – however, regular practice builds and improves it, like any skill. Our speed reading hypnosis course promises to at least double your reading speed, however, not everyone can do it after the initial session. It is not always obvious why, and this is where hypnosis is unique is resolving learning blocks. Even people with retention or memory problems, or learning blocks, can be helped to read faster with hypnosis. It may take more than one session to uncover the real reason why, but once it’s been identified, it does not take long to correct it. Rashid was a very intelligent 39-year-old married man, determined to further his career and complete his PHD. English was his second language. As a PHD student, his reading workload and was heaving and he was keen to speed read. However, he had problems reading and was a slow reader. He had previously spent thousands of pounds on various speed reading courses, including the well-respected, famous Tony Buzan course. None had worked and his wife was furious with the amount of money he’d spend on the training. This was his last chance attempt, which he had decided NOT to tell his wife about. After the initial session, Katie quickly identified Rashid’s problems reading fast were nothing to do with the techniques he’d been previously taught, but a long-standing learning block. During regression therapy, his subconscious was instructed to go to the first time he had an issue with reading. It took him back to an incident at school when he was 6/7 years old, where the teacher was teaching the whole class to read. The teacher shouted at the entire class to “read slower otherwise, you will not be able to understand properly”. Rashid was actually frustrated because he actually could and wanted to read faster, however, the subconscious had taken on board teacher’s instruction as he was worried about not remembering the information. By revisiting this incident, he realised he did have the ability to read fast and that the teacher was trying to accommodate for the whole classes learning needs – not just his. This was the break-though he needed for change. Once the belief was corrected, he was delighted his reading speed more than doubled and was excited to inform his wife! *Name changed for confidentiality reasons. 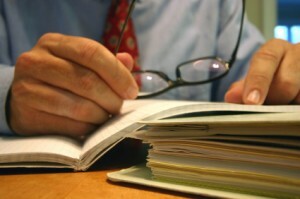 Learn speed reading in hypnosis and the habit is permanent. This speed reading course is different to classroom methods. It’s a unique combination of deep relaxation and hypnosis with advanced techniques of accelerated learning. This means there’s no need for additional post-course study or practice – it’s a skill for life. Similar to learning to ride a bike – once you’ve acquired the skill, you don’t forget it. 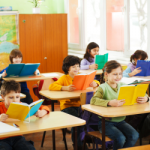 Speed reading can be taught either as an individual programme or in small groups. We normally offer individual and group corporate courses. However, we can arrange private courses if you have a group that would like to learn this incredibly useful skill together. Contact Katie Glen on 020 8712 5981 for further information on our speed reading hypnosis courses.